With over 16.5 million users, Tesco Clubcard is top of the charts for the most popular loyalty programme in the UK. And with so many people signed up to the Tesco Clubcard scheme, we’ve decided to put together a list of the most asked questions about the scheme and answer them for you. Although not a definitive list, these questions and answers are the most searched (according to Google) on a month-by-month basis. What is a Tesco Clubcard? Tesco Clubcard is the loyalty programme run by the British supermarket chain Tesco. As well as having over 16.5 million users in the UK alone, the Clubcard scheme also operates in Ireland, Hungary, Poland and many other countries. When was the Clubcard introduced? The Tesco Clubcard was launched nationwide in 1995. Just 12 months later, holders of the Clubcard were spending 28% at their local Tesco store! How much is a Tesco Clubcard point worth? Each Tesco Clubcard point is worth 1p. To receive Tesco Clubcard rewards you will need to collect a minimum of 150 points which will give you £1.50 in vouchers. 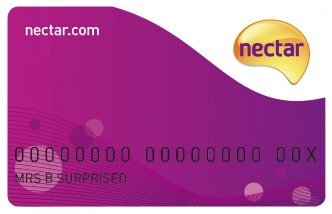 Following that, every 50 Clubcard points you collect will transfer into £0.50p worth of vouchers. In certain circumstances you are able to increase the value of your Clubcard points by up to 4 times to use with Tesco Clubcard Partners offers. How do I use my Tesco Clubcard points? 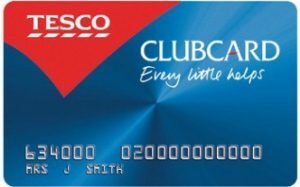 Every 3 months Tesco will look at the amount of Clubcard points you have collected in that period and send you the equivalent amount in vouchers. These can be spend online, in-store and at a Tesco fuel station. 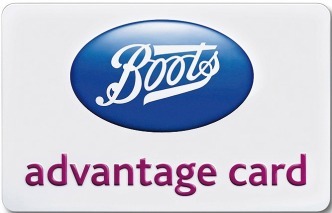 You can also spend them with selected Tesco Clubcard Partners where they are worth 4x value. What is the Tesco Clubcard customer service phone number? You can contact Tesco Clubcard on 0800 591 688* or 0330 123 1688**. Their lines are open Monday to Friday – 8am to 8pm and Saturday 8am to 6pm. ** These calls are charged at local rate from mobiles. *These calls are free from BT landlines. How do I change my Tesco Clubcard address? Changing your Tesco Clubcard address is easy. You can either login to your Clubcard account and change your details, or you can give Tesco a call on 0800 591 688 or 0330 123 1688 and update your address that way. What is the Tesco Clubcard email address? There doesn’t seem to be a direct email for Tesco Clubcard but you can contact them through this web form on the Tesco site. How do I order a replacement Tesco Clubcard? To request a new card or key fob; sign into your Tesco Clubcard account and click ‘Order a replacement card‘. Here you can report a card missing, order a new card, or order some extra fobs for the family. Any points and vouchers you’ve collected will transfer to the new card. If there is a question you’d like us to add please let us know by emailing [email protected] and he’ll be more than happy to add it to the list. In the meantime, why not head over and check out our latest Tesco Clubcard articles.